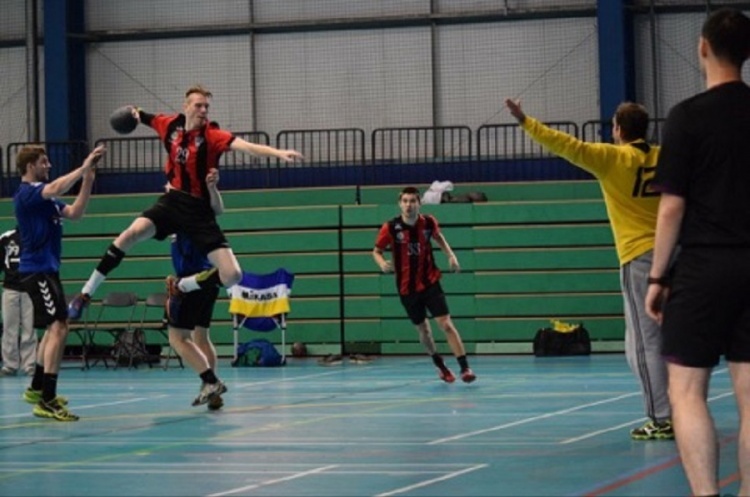 Warrington Wolves stay top of the Men’s Premier Handball League on goal difference ahead of London GD after a close-fought victory over West London Eagles. GD beat Nottingham in another tight match, while Olympia kept up their 100 per cent record with victory over NEM Hawks. Wolves trailed 9-11 at the break, but fought back in the second half as Eagles struggled to find a way past a resolute Wolves defence, to secure a 23-22 win in a nail-biting encounter. Rafik Tahraoui top scored for Wolves with eight strikes, while Nate Green scored five goals. Gil Lewis and Romualdas Sakovicius, who was red-carded late in the match, scored four goals apiece for Eagles who are sixth in the table. Nottingham led GD 15-12 at half time at the Copper Box Arena. However, GD enjoyed the better of the second period to win 31-29 in another thriller. GD’s Ayrton Gelin and Alexander Rauner both beat the keeper six times. Francisco Pereira struck 10 times for Nottingham, while Josh Plumbridge scored eight goals. Nottingham are seventh in the table on goal difference after losing their opening two matches. Olympia beat NEM Hawks 30-27 in another nail-biter. Olympia, Like Wolves and GD had to come from behind to win the match after trailing 15-17 at half time. Carlos Navaro top-scored for Olympia with 10 goals, while Jamal Braithwaite struck nine times for Hawks. Olympia are third with two wins from two matches, while Hawks are fourth.